Moto Z2 Force is expected to feature a Snapdragon 835 SoC. ShatterShield, shatterproof display. It will likely come with a Quad HD screen, similar to the predecessor. There is also fingerprint sensor on the front, below the display. 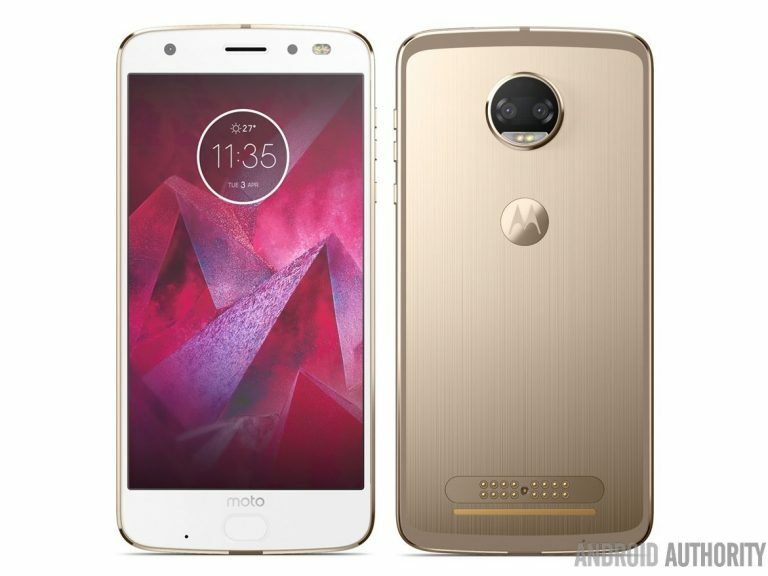 There is also a Moto logo between the screen and the sensor. 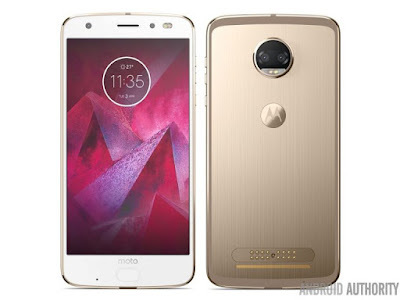 Moto Z2 Play will feature a 5.5-inch (1920 x 1080 pixels) Full HD display powered by 2.2GHz Octa-Core Snapdragon 626 processor with 4GB RAM and 64GB of internal storage.The device runs on Android 7.1.1 Nougat.On Camera, it has a 12MP Rear camera and 5MP front camera Packed with a 2850mAh Battery. Moto Z2 Force along with Moto Z2 and Z2 Play expected to launch Next Month.